Jae Woo Park has substantially improved the CASPT2 energy/gradient code. Nils E. Strand has implemented the spin-free DKH2 nuclear gradient code (available in v1.1.1). Toru Shiozaki (TS) has designed the density fitting utilities and implemented as a parallel program. He also implemented most of the molecular integrals and the non-relativistic HF, MP2, CASSCF, CASPT2, NEVPT2, and MRCI programs. He is also responsible for the code for HF, MP2, CASSCF, and SA-CASSCF nuclear gradients and the Z-vector equations for HF and CASSCF reference functions. The determinantal FCI code has been developed by TS and Shane M. Parker (SMP). The parallel FCI is due to TS. All of the code for restricted active spaces is due to SMP. All of the FMM capabilities and ECP integrals were implemented by Hai-Anh Le (HAL). Douglas–Kroll–Hess integrals were implemented by Yiqun Wang (YW). The code for state-specific CASPT2 nuclear energy gradients was developed by Matthew K. MacLeod (MKM) and TS. The contributions by MKM included the extension of SMITH3 to enable computation of the source terms in the Z-CASSCF equations. This code was later extended by Bess Vlaisavljevich (BV) to XMS-CASPT2 nuclear energy gradients and by Jae Woo Park (JWP) to include the computation of derivative couplings. Note that JWP has significantly improved the CASPT2 gradient algorithm, which is currently used in the released version. BV implemented the numerical differentiation programs for nuclear Hessian elements and vibrational analyses. The Dirac–Hartree–Fock program was developed by TS with contributions from Matthew S. Kelley. The relativistic FCI was written by TS. The initial relativistic CASSCF program was implemented by Jefferson E. Bates. The program has since been replaced by a more stable second-order algorithm by TS, who also implemented the relativistic CASPT2 and MRCI programs. Ryan D. Reynolds (RDR) extended the relativistic CASPT2 and MRCI code to enable multi-state variants. RDR also developed a module that extracts EPR Hamiltonian parameters from the relativistic computations. The pilot implementation of nuclear gradients within the relativistic framework was written by TS. JWP implemented all of the geometry optimizers (for equilibrium geometries, transition states, and conical intersections) that are currently used, replacing inefficient code due to TS. JWP is also responsible for the interfaces to dynamics programs. All of the code for the ASD algorithms was developed by SMP (except orbital optimization part written by Inkoo Kim). The GIAO code was written by RDR. 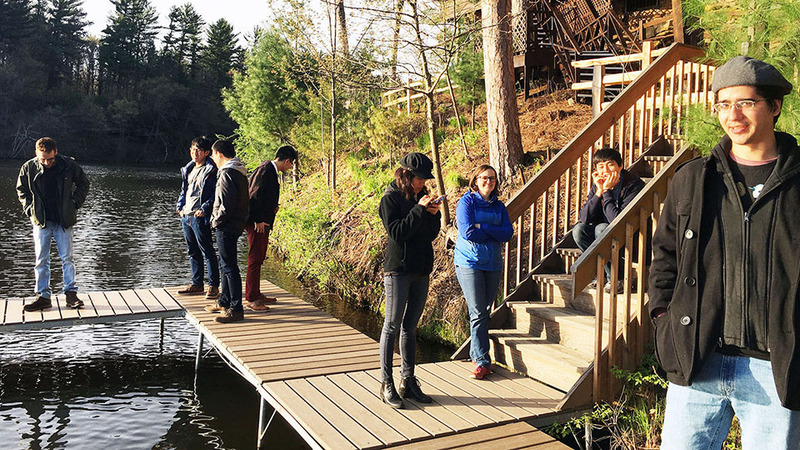 Peter J. Cherry, JWP, BV, HAL, RDR, Yeonjun Jeong, Jheng-Wei Li, and YW wrote the manual at a group retreat in Wisconsin (May 1-3, 2017) while TS “supervised”.